We currently have a surplus of buyer and seller leads & need help NOW!!!! A Sophisticated IDX/CRM Package that’ll save you lots of time and help you close more deals, almost on autopilot. If you were to ask any of the more than 1200 associates who have joined My Home Group, you will hear a common theme describing the reasons why they chose MHG to be their new business partners. Business Coaching, Advanced Productivity Tools, Superior Training and Energetic Environment. Since 2004 My Home Group has thrived in part because of its ability to help our associates realize their goals. Although trends, both professional and social, change over the years, MHG is known for adapting to those changes and staying on the cutting edge of what is “now” and what is “current”. We’re not the same company we were in 2004 when we got started. My Home Group is ever evolving, changing with the times and growing. Our associates; our business partners, are the beneficiaries of our progress. Our commitment to you is provide you with the very best leadership, productivity tools, training, management and support. This coupled with your dedicated efforts and desire to succeed will ensure that you produce more transactions with My Home Group as your partner than anywhere else you may consider. You will have our full support! The difference between a job and a career isn’t just luck. You need to have the drive, as well as the resources, to get the job done. No one else can do it for you, but if you have the initiative, we’ll make it possible for you to go as far as you want! That’s how you become a successful Realtor! Together everyone achieves more. My Home Group is always ready to help you do your job, to the maximum of your ability. If you are a seasoned real estate agent and feel you deserve a greater personal return on your hard work, you’ve come to the right place. At My Home Group, you will find a true team spirit combined with vast personal earning potential. We focus on learning and growing! One way My Home Group supports it associates is by offering the ultimate key to career success: Education! Our respected training program reflects our commitment to real estate sales education, career and income growth. Our program has a focus on personal productivity, sales skills and career development. Is there any better way to build your business and your earnings? This is our culture. Are you ready to take the opportunity? 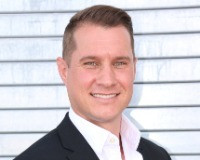 Ian Toner has been a Real Estate Professional for the past 12 years and takes great pride in helping both buyers and sellers with their Real Estate needs, whether it is helping a family purchase a new home or sell their current house. He graduated from Arizona State University with a degree in Criminal Justice but decided right after college that he wanted to sell Real Estate full time. Ian understands this is one of the biggest decisions of your life and with that he brings professionalism along with a vast understanding of the current market here in the valley. He feels that every person and family deserves 110% at all times and makes sure he is there for them day or night. Growing up with great family values has helped hi m transition into being a great Real Estate Professional and he continues to work as hard as possible to make his clients feel comfortable and at ease with their purchase or sale. If you are looking to buy or sell, contact Ian today!